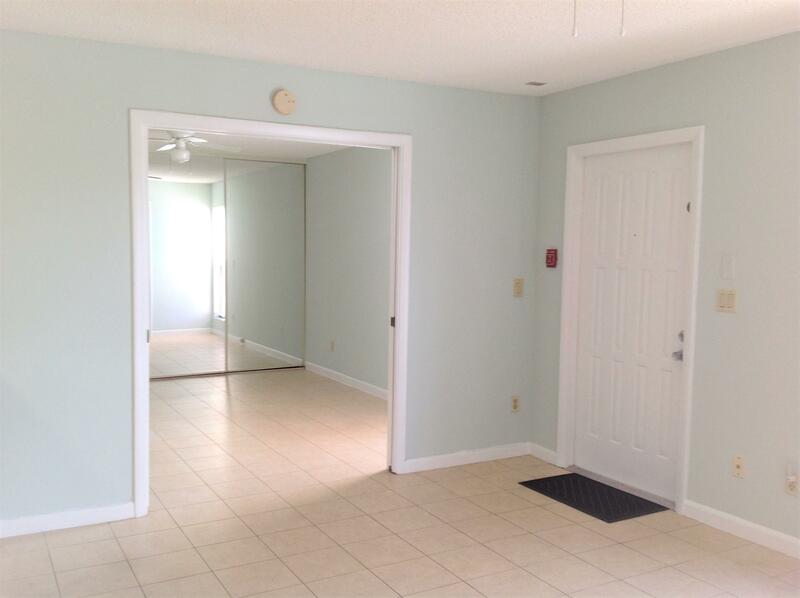 LOVELY, FRESHLY PAINTED, CONDO UNIT WITH 1 BEDROOM/1 BATHROOM IN A SMALL GATED COMMUNITY. IT IS A TWO-STORY UNIT. GROUND FLOOR HAS A FENCED PATIO/STORAGE AREA. SECOND FLOOR HAS A DECK AREA AND ENTRANCE TO A WELL-MAINTAINED UNIT. KEY FEATURES ARE: *OPEN LIVING/DINING/KITCHEN AREA *SPACIOUS BEDROOM WITH POCKET DOORS *CLOSET WITH MIRRORED DOORS *BATHROOM WITH ROMAN TUB *FULL SIZE WASHER & DRYER AREA WITH MIRRORED DOORS *TILE FLOOR THROUGHOUT *ONE ASSIGNED PARKING SPACE. COMMUNITY IS WITHIN MINUTES TO I-95, AIRPORT, PALM BEACH OUTLET STORES, RESTAURANTS, CITY PLACE AND SO MUCH MOR. DON'T MISS THE OPPORTUNITY TO OWN THIS MOVE IN READY UNIT!